Let them eat steampunk Cake! I visited the Steampunk Village at the City of Nemo on FRANCE3D Futuna sim. This place is gorgeous!! I originally wore a different dress before I tp’d here, but anything with the word France in it automatically reminds me of Marie Antoinette, and so I changed into my Nicky Ree Le Fleur Baroque gown. To complement my gown, I am the Carlotta Jewelry Set from Caroline’s Jewelry. 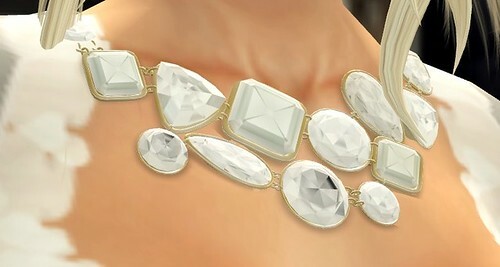 I adore Caroline’s for scripting all her jewerly sets with a Bright on/Bright off script since I absolutely *hate* full bright items. I was so happy that I could turn it off for my in-world snapshots. The Carlotta Jewelry Set is available in Onyx, Diamond, and Variety gemstones. 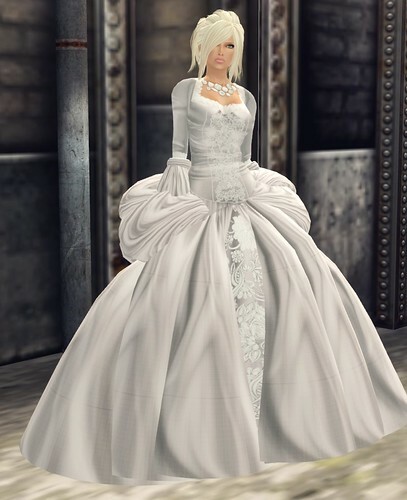 This set will be available at the Etheria Fashion Show & Event on June 13th at 3PM SLT. What a beautiful dress! 😀 Thanks for posting. That’s really beautiful. Are there ever balls in SL? That would just be an amazing sight.